Motor vehicle crashes remain a leading cause of injury and death in adolescents, with teen drivers three times more likely to be in a fatal crash when compared to adults. One potential contributing risk factor is the ongoing development of executive functioning with maturation of the frontal lobe through adolescence and into early adulthood. Atypical development resulting in poor or impaired executive functioning (as in Attention-Deficit/Hyperactivity Disorder) has been associated with risky driving and crash outcomes. However, executive function broadly encompasses a number of capacities and domains (e.g., working memory, inhibition, set-shifting). In this review, we examine the role of various executive function sub-processes in adolescent driver behavior and crash rates. We summarize the state of methods for measuring executive control and driving outcomes and highlight the great heterogeneity in tools with seemingly contradictory findings. Lastly, we offer some suggestions for improved methods and practical ways to compensate for the effects of poor executive function (such as in-vehicle assisted driving devices). Given the key role that executive function plays in safe driving, this review points to an urgent need for systematic research to inform development of more effective training and interventions for safe driving among adolescents. 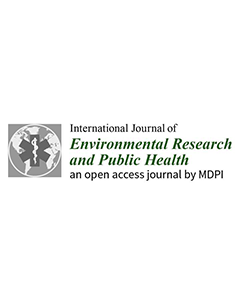 Click here to obtain the article from the International Journal of Environmental Research and Public Health (IJERPH).